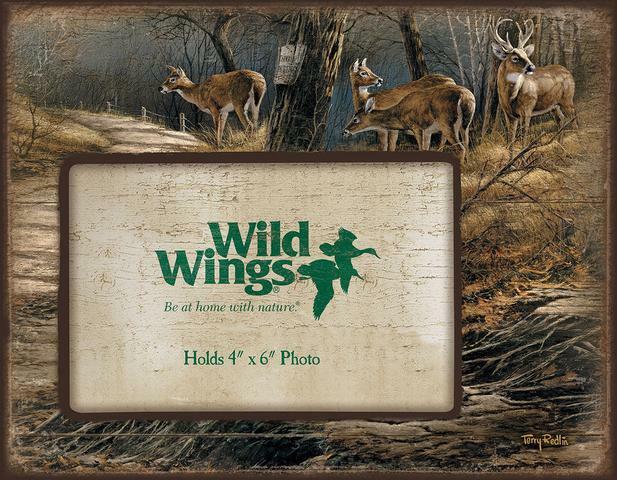 Enhance your cherished outdoor or family memories with a charming picture frame adorned with the art of Terry Redlin. Featured here is Terry Redlin’s top selling Leaving the Sanctuary. Printed image on wood frame. Arrives ready to display on tabletop or hang on wall. 9"W x 7"H with 4" x 6" opening.